William Wilberforce (1759-1833) is my historical hero, hands down. A talented and extremely successful politician (he never lost an election while he was in the House of Commons), he put his faith in Christ while in office and then focused his energies and vast talents on addressing social issues such as poverty, children’s education, and animal cruelty. What he is best known for, and justifiably so, is his role as the leading political figure in the abolition of the British slave trade. Soon after becoming a Christian, Wilberforce seriously considered leaving the world of politics. We can be thankful, very thankful, that he instead chose to stay and use his influence for the betterment of society. As his close friend and Prime Minister William Pitt (the Younger) wrote to him, “Surely the principles as well as the practice of Christianity are simple and lead not to meditation only, but to action.” Wilberforce heeded this advice, and he changed his world. I’m grateful for his terrific example of Christian conviction in the service of public leadership. 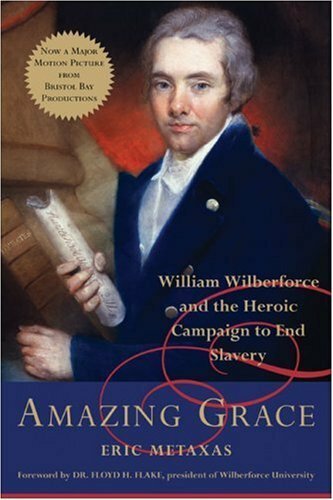 Expect more posts over the coming days on my hero, as I read Eric Metaxas’s fascinating biography, Amazing Grace: William Wilberforce and the Heroic Campaign to End Slavery (Harper Collins, 2007). For now, enjoy this brief excerpt on his realization that all his resources are not really his, but God’s, given to him for the benefit of others.